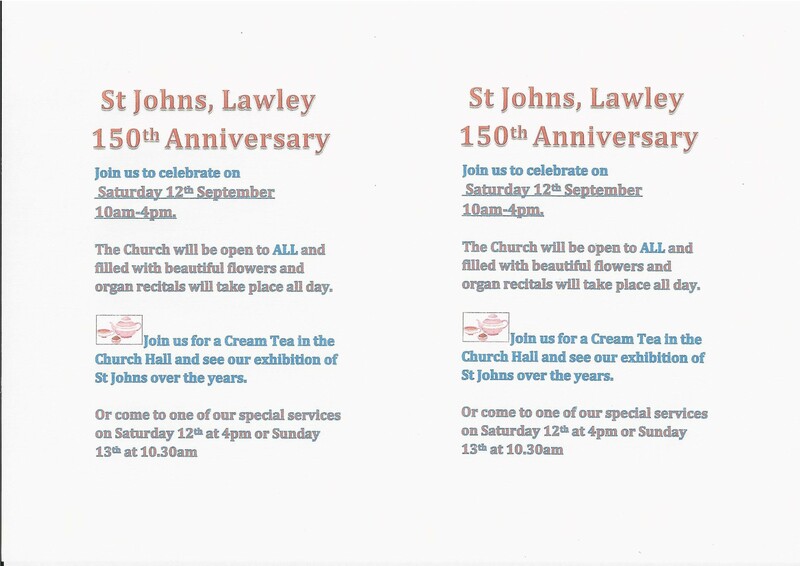 St John’s is 150 years old this year! In fact, on September 12th is our church birthday! For this big event, we have planned a few events. 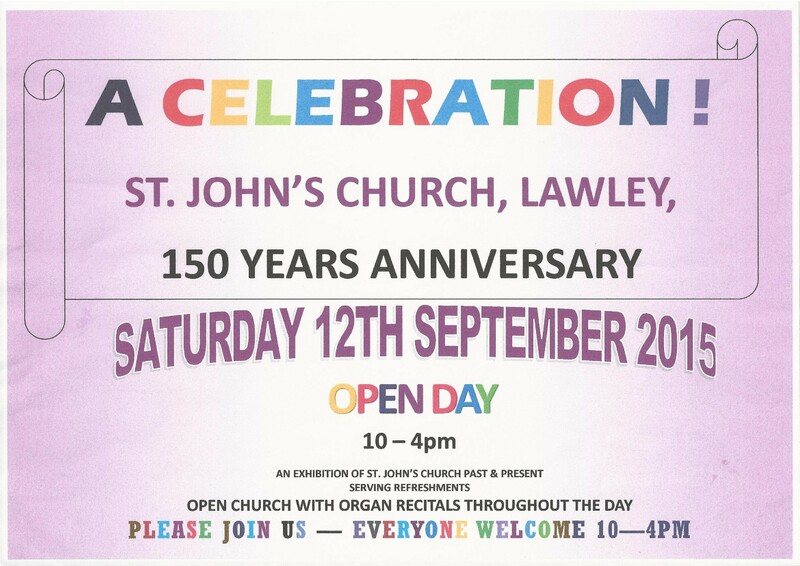 Saturday 12th Sept – 10am – 4pm – our church will be open, holding a flower festival and organ recitals will be taking place during those hours. Also, in our church hall – at the bottom of the church grounds – we will have displays about the church’s life and as well as displays by the different groups who use the hall. While people wander around, they can enjoy cream teas served by our volunteers. That event will end with a service of evening prayer at 4pm in the church. Sunday 13th – at 1030am a Celebration service of Holy Communion led by the Bishop of Shrewsbury, Mark Rylands. Afterwards there will be refreshments in the church hall and another chance to see the display boards from the previous day.